MONTREAL — It is a scene that's played out umpteen times in stores across the country. A young child is grocery shopping with his or her parents. The child tires, and hops inside of the shopping cart. It is an everyday occurrence, but not one without major risks for the child. A QMI Agency investigative report has revealed that in the last five years nearly 400 children in the Montreal area have been hurt falling from shopping carts. At the Montreal Children's Hospital alone, 256 children under the age of five had been hospitalized in the last five years in shopping cart-related accidents. Seventy five per cent of those suffered either cranial trauma or concussions. "It's a big problem," says Debbie Friedman, head of the Montreal Children's Hospital's trauma department. "The consequences on a child's brain can be quite serious. We've seen a child who fell from a cart and came in with a fractured skull." According to statistics from the Children's Hospital, 93% of shopping cart injuries stem from the child falling out of the cart and on the floor. 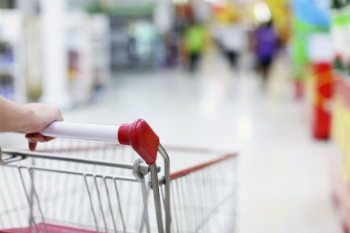 In the U.S., 66 children are taken to hospitals every day with shopping cart-related accidents. That averages to a child every 22 minutes. Friedman suggests parents either use a hand-held shopping basket or leave their kid at home when they go grocery shopping. "I know it isn't always possible," says Friedman, "but it's definitely preferable.